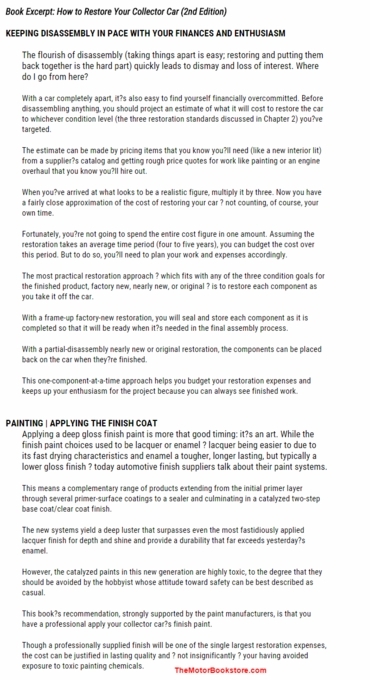 How to Restore Collector Car: Rebuilding, Wiring, Painting, etc. Have you dreamed of turning that rusted old jalopy from the junkyard into a collector?s item? 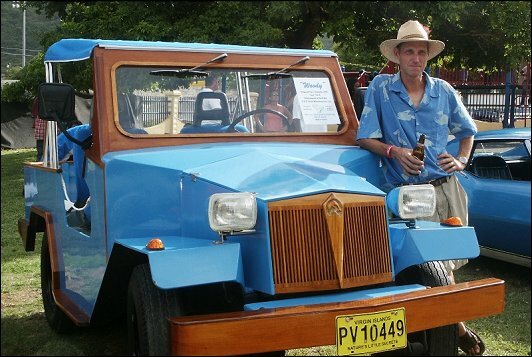 Ever wanted to cruise down the road in your own vintage restored vehicle? The first step to making your dreams a reality is the leading reference book for collector car restoration. There are some reference books that never go out of style like the How to Restore Your Collector Car, 2nd Edition. It?s been in print for 25 years and is just as popular today as the day is first rolled off the presses. It?s filled with all the information you will need to restore your vintage collector car by creating clear and concise step-by-step instructions from rust removal and cleaning to modifications that will make the car safer than when first on the road. The book is written by automotive expert Tom Brownwell who has decades of experience restoring a wide variety of collector cars. The information is written in such a way that even an amateur enthusiast can understand everything. It also features hundreds of color photos, so you can not only read, but also see the steps. It?s not just about the physical aspects of restoration either. It outlines everything from setting up a realistic budget to realizing it can take several years to complete. 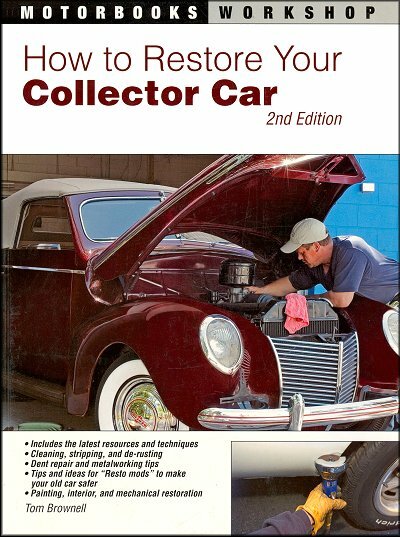 How to Restore Your Collector Car, 2nd Edition is a reference that all car collectors and restorers should have. Grab this book today and be on your way to feeling the wind on your face while driving your classic dream car. Why Restore a Collector Car? Restoration: What Does It Mean? Research: Uncovering a Car's "Life Story"
Above: Erik & Sheryl Groenenberg's Daihatsu Feroza. Wooden body was custom built by Erik. Orlando, Florida. Ask a question about How to Restore Your Collector Car 2nd Edition: Disassembly, Welding, Electrics, Rebuilding, Wiring, Painting, more.